Come hear from noted new media curator Christiane Paul of the Whitney, learn about the fascinating kinetic laser light sculptures of Norman Ballard, and the large scale augmented reality sculptures created with 3D rendering software by artist Michael Rees. We'll gather in the home of Ellen Levy, President Emerita of the College Art Association. Contact levy@nyc.rr.com for details. We'll gather in the studio of Ellen Levy, artist and Past President of the College Art Association where Ellen and Patricia Olynyk co-convene the LASERS. 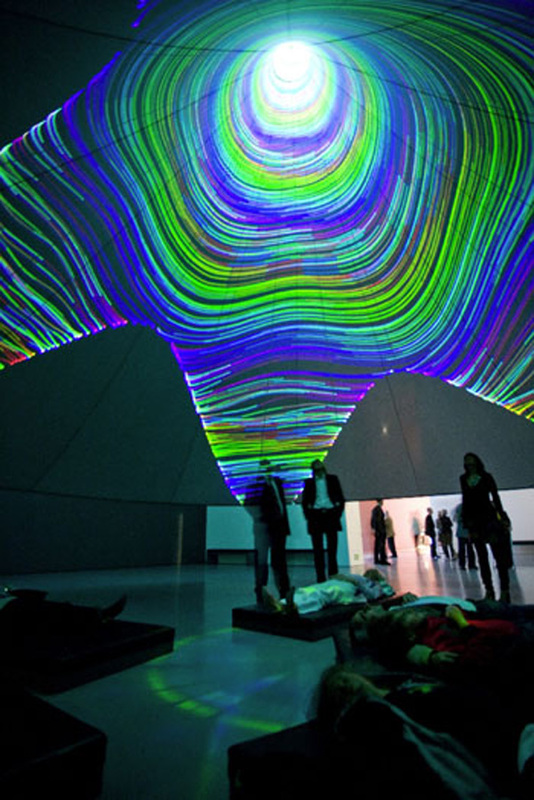 Each LASER gathering provides short 10- to 20-minute talks on art/science topics and the opportunity to network with cutting-edge artists, scientists, and researchers in an informal setting. Passionate participants are eager to share their ideas with you! Audience members are invited to “pitch” their own work, events, and activities to the group as well. Founded in 2008 by LASER Chair Piero Scaruffi on behalf of Leonardo/ISAST, LASERs are now happening in over a dozen locales nationally and internationally: University of San Francisco, Stanford University, UC Berkeley, UCLA, UC Davis, UC Santa Cruz, New York City, London, Tacoma, Toronto, Montreal and Kansas State University.